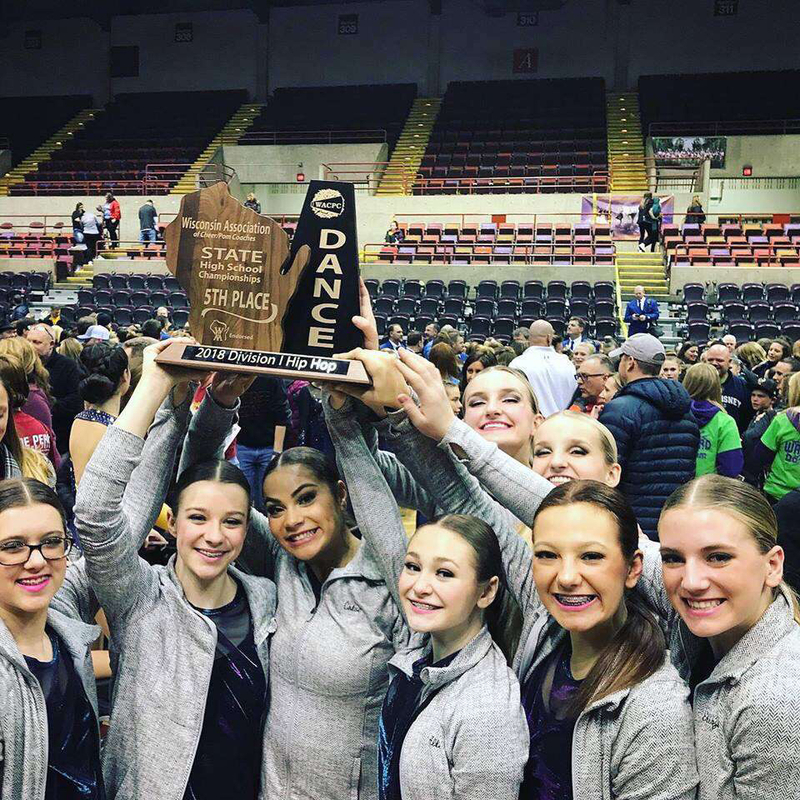 On Saturday, the Waukesha South Varsity Poms team placed 5th in Division I Hip Hop at the Wisconsin Association of Cheer/Pom Coaches State Championship in La Crosse. Despite all the work the team puts in, the WACPC competition is no easy task. Waukesha South has one of the smallest squads with only 8 members compared to most of the other teams, which consist of 20-30 members. In fact, the next smallest team in Division 1 has 17 members. The team has learned that no challenge is too great for them despite the stiff competition they face. Because of their determination and work ethic, they were able to achieve a top five finish. All in all, it was a solid season for the WSVP. They represented our school with grace, courage, and dignity. With great strength and perseverance, the Waukesha South Varsity Poms team keeps getting better year after year, giving us all the more reason to be proud Blackshirts.